John and Lucretia Oliver, two of the first permanent settlers in Cades Cove, introduced the Baptist denomination to the area in 1825. The Cades Cove Baptist Church was established in 1827 so that Cades Cove Baptists did not have to travel through the Smoky Mountains to attend Sunday services in Millers and Wears Coves. After a period of time, a division developed due to a biblical interpretation where one side of the congregation believed that that the scripture allowed for missionary work while the other side did not. As a result, the church became known as the Primitive Baptist Church in 1841. The small congregation met in a log building for 60 years until the existing white frame church was built in 1887. After the split with the Cades Cove Baptist Church, which became known as the Anti-Division Split, Pastor John Adams and other congregation members established the Cades Cove Missionary Baptist Church in 1841. They originally had no meeting place for worship services, so they often met in individual homes. However, after a successful revival after the Civil War, they were able to build their own structure on Hyatt Hill in 1894. In subsequent years, the church congregation increased from 40 to more than 100 members. 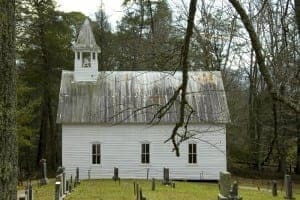 This prompted the building of a new church in 1915 which is the one that you can visit today on the Cades Cove Loop Road. Methodists were also active in Cades Coves as early as the 1820s, but few early records of the Cades Cove Methodist Church exist . However, it is known that the original church meeting structure consisted simply of a log structure with a dirt floor and a fire pit. The church building which stands in Cades Cove today was built in 1902 by John D. McCampbell, the pastor of the church who was also a carpenter. McCampbell completed the new church in 115 days at a cost of $115, and the building featured two front doors which was a common architectural feature in the 1800s. This allowed the men to enter and sit on one side of the chapel with women and children on the other side. 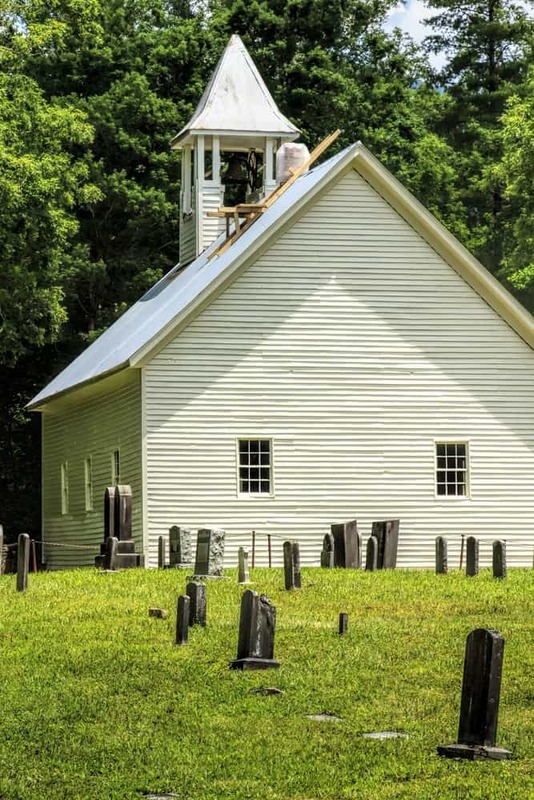 We hope that you will visit these historic churches on the Cades Cove Loop Road the next time you make it out to Great Smoky Mountains National Park. Click here for more information about things to see in Cades Cove during your next vacation!